One late afternoon we headed back to Stanton to see a show, but we arrived early so that we could explore downtown a bit. The Dragon’s Hoard caught me by the title. It’s near Pufferbellies and sells board games, cards, modeling supplies, dice and other gaming supplies. Pufferbellies was a place we all wanted to go, having heard about it from my cousin who with his wife had stopped by and bought some games that we then played at the bunkhouse. They were just such interesting games we had never seen before that we had to go. The shop is a ton of fun. Even though it’s a children’s store it wasn’t necessarily packed with children when we went (which probably changes during their events such as their weekly puffer baby playdates and story times ). When we went and browsed workers would come over and show us how the tester games worked, or would, depending on the game play with us. They had things for everything from babies up to games we were interested in playing. One of my cousins (the one who went with me to London) is pregnant and if I better knew what was age appropriate for newborns I would have gotten something for her. Their selection was a lot of fun, not just to play but also educational and creative sides of fun. The place is packed with all sorts of odds and ends that can possibly fall into the category of Antiques. Some of it was really cool, a lot of it was expensive. I loved that they were working on putting a mural on one of the walls and that there was a piano outside that says Play Me. One of my cousins is spending part of his summer working on a diorama of a the battle of Stalingrad in World War 2. So when my other cousin popped out and said this shop had a lot of modeling supplies for World War 2 I called my aunt, put together a list and went in to see what they had. The owner was nice, but it isn’t set up for just naming off sizes, titles, and brands to see if they have it. I did manage to find one thing, but since there are so many different brands and sets that to house all of them you would have to fill a superwalmart, they don’t carry them all. (Which is what I was told). 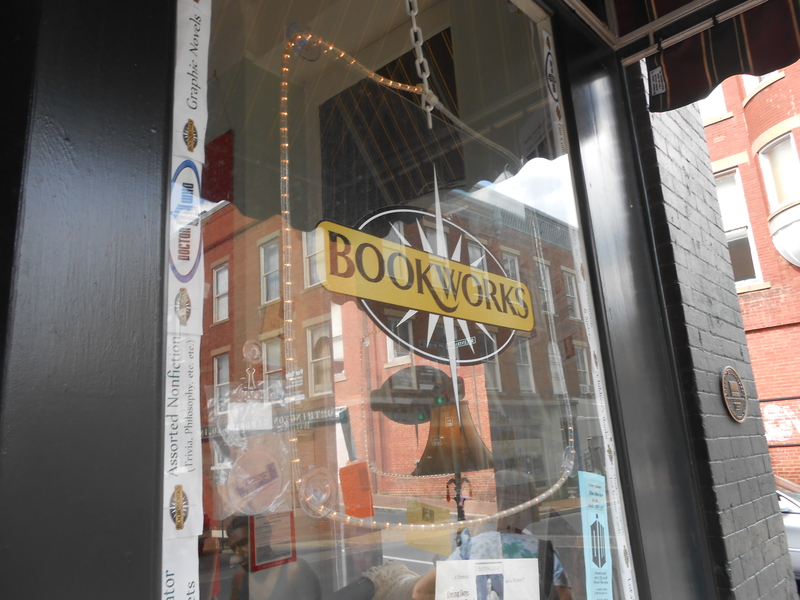 Bookworks is a small indy book store. It’s rather small and doesn’t have a huge selection, but it was fun to look around. They had several books signed by local authors and fun literary gifts around as well. Black Swan is a rare and used book and music store. They also have a shop in Richmond, Virginia. It’s a lot bigger and has a larger selection then Bookworks. Wandering around Staunton was a lot of fun. 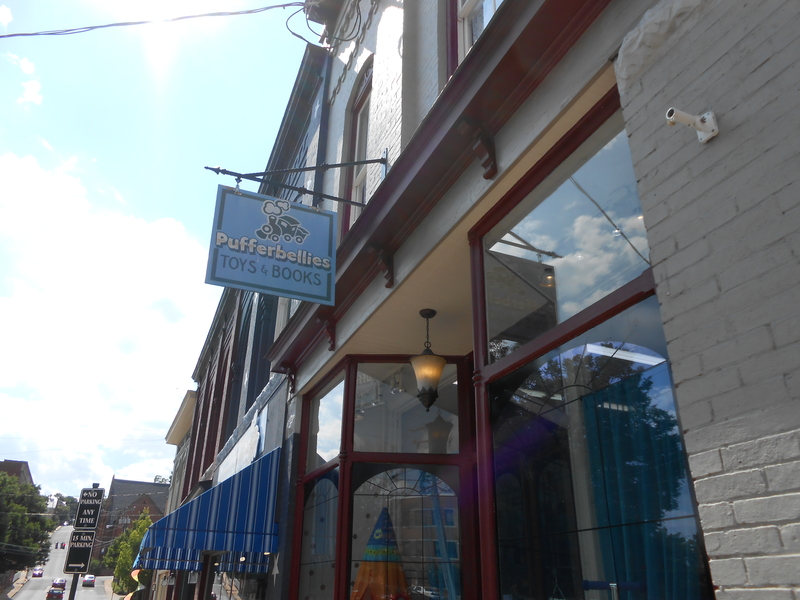 When we drove in the first time for I noticed that it looked like there was a cafe and bookstore on almost every corner. Which may be a stretch but there are a lot of them and I kind of wish I could have checked out more of the shops. (by that I mean more of the cafes and bookstores, and spent more time at puffer bellies) As a note though a lot of shops close early or seem to have short operation hours.